No year without corporate sports competitions – also in 2016. What counts, apart from the athletic challenge, are in particular taking part and the joined experience within a group. Companies from the WIKA Group gain top ranks in these events, for example WIKA Canada and Mensor, who start regularly in regional corporate challenges. WIKA even organises its own event in Klingenberg, the relay marathon, in which 131 teams from companies, local authorities and schools were at the starting line this time. WIKA relay marathon. Many participants went to the limits of their endurance, but almost all of them managed to complete the challenging course. First place in the team score went for the second time in succession to the WIKA Running Team, ahead of Bosch Rexroth Lauftreff 1 and the Main Ausdauershop Honisch Runners. 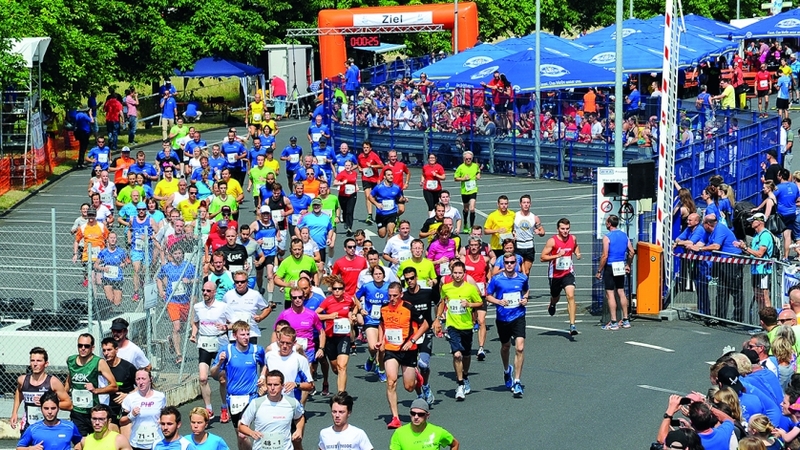 The fastest female runner was Julia Roth from the Honisch Runners (23:51 minutes), while the fastest runner overall was Jürgen Reiser from the WIKA Running Team (20:45 minutes). From the 130 teams involved, 27 wore WIKA strips, including teams from the subsidiaries of Benelux, the UK, Poland and Spain. Individual runners, for instance from WIKA Middle East, ran in mixed teams. The event was supported by approximately 400 helpers from local associations, the fire bri­gade, Red Cross, THW, WIKA and the massage teams from Praxis Grund and Physiotherapie Kroth. A great big Thank You to all involved. there were twelve sports with 2,800 participants from 39 companies competing. This year, more than 18,000 athletes from 170 companies took part in 22 sports competitions and three major special events. The ­Games, running for 16 days, are therefore one of the largest amateur sporting events in Cana­da. These competitions are not re­stricted to purely sporting disciplines such as badminton, volleyball, softball or golf. They also feature trivia or card games. The corporate challenge is great fun for every level of fitness and desire. The par­tici­pating companies are divided into groups. Over the years WIKA has done quite well in its starter group of 30 to 40 teams, placing in the top ten every year. This year, the subsidiary came in fifth, its best ever result. These games give the employ­ees an opportunity to be ac­tive outside the company and to network, while also demonstrat­ing their volunteer spirit: In the competition of donating blood to Canadian Blood Services WIKA has been at the top of the division for the past four years running! Jubilation at Mensor: For the first time, the employees have won the “San Marcos Corporate Challenge”. For the last 20 years, the Texan company has taken part in this competition that is sponsored by the San Marcos Parks and Recreation Department. 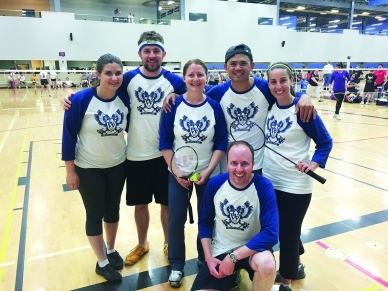 Company teams from the region test themselves in eleven sports disciplines: bowling, kickball, softball, volleyball, horseshoe pitching, billiards, darts, golf, two-ball basketball, canoe rac­ing and washers. The most successful team garners the title of “Best in the city”. At the end of the five month competition, the city championship trophy was awarded to Mensor. Its team was well put together and demonstrated great talent. It came first in kickball, volleyball, billiards and canoe racing, gained second place in softball, darts, two-ball basketball and golf, and third place in horse­shoe pitching and washers. The employees are already look­ing forward to defending their title next year. The Mensor employees are very happy about their success.